STURGIS, S.D. 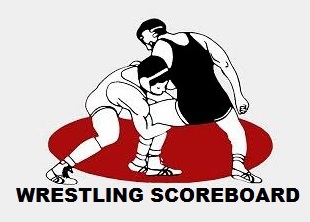 - The Sturgis Scooper wrestling team split a pair of matches with Wyoming in Sturgis Thursday. The Scoopers cruised to an easy 62-9 victory over Campbell County, but fell 44-25 to a tough Thunder Basin squad. Against Campbell County, Sturgis won 12 of 14 matches, dropping only the 170 and 152 pound match. Of those 12, Tice McVey and Dylan Wetsit won by forfeit. Sturgis got five wins against Thunder Basin. They included Zaven Osborne at 113, Jacob Wood at 120, Logan Desersa at 126, Pettery Ketelsen at 138 and Brett Konst at 160. Thunder Basin won the 145 and 170 pound match by forfeit. In other wrestling action Thursday night, Rapid City Stevens defeated Custer/Edgemont 52-15. The Raiders captured eight of the 10 matches wrestled with two pins, two major decisions and one technical fall.